CBN returns sixty-five billion naira Illegal deductions to bank customers – Royal Times of Nigeria. 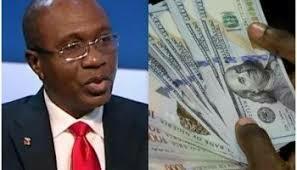 Nigeria’s apex bank, the Central Bank of Nigeria (CBN) said it has recovered over sixy-five billion naira from commercial banks for wrongful deductions and illegal charges on deposits of customers and other transactions in the banking industry. The CBN said the amount, which has accumulated since 2012, has been transferred back to their legitimate owners, who lodged complaints with the apex bank as customers continue to groan over illegal bank charges. CBN’s Acting Director of Corporate Communications, Isaac Okoroafor, stated this on Wednesday in Asaba, Delta State during a two-day fair, organized by the bank for stakeholders in the sector. Okoroafor condemned any act by commercial banks that short-changed customers. Okoroafor also advised against hawking of all denominations of the Naira on Nigerian streets, saying it is a punishable offence.